Tavistock, finishing touch. 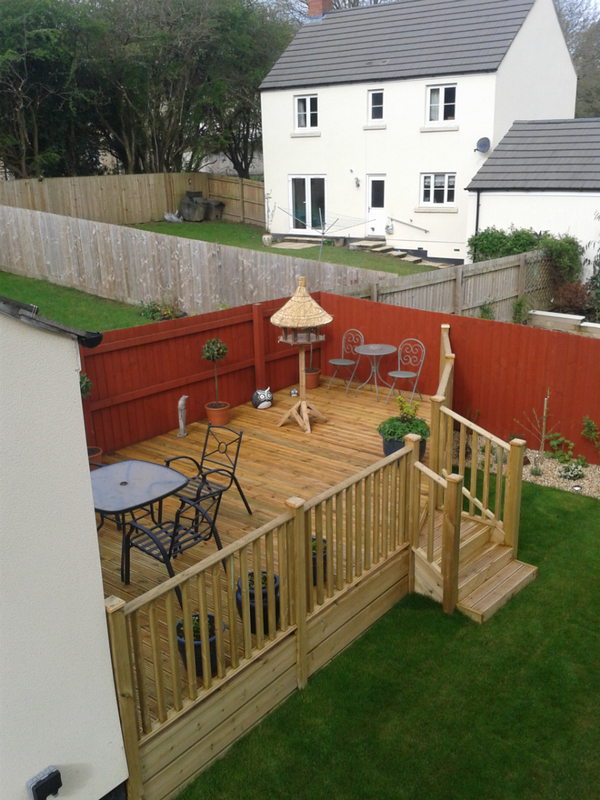 | Create Landscaping Tavistock, finishing touch. We were asked by one of our clients if we could provide a thatched bird table, to add the finishing touch to their newly landscaped garden. We set about trying to source a good quality thatched bird table, but were surprised at just how difficult this was to find! Never ones for giving up on a challenge, we approached a Master Thatcher in Somerset. He agreed to create a bespoke thatched bird table for us. As you can see the result was amazing! This is a truly one off and agree it certainly does add a finishing touch to what was already a stunning garden. It gives us great pleasure to see our clients so happy with the service we have provided for them, this is another example of us going that extra mile to ensure that every last detail is just as our customers want. This bird table is beautiful and you can see it is handcrafted. However with such an amazing decking area I don't think I would put the bird table actually on the deck, just think of the mess! I think it would be better placed down on the grass and you could observe the wildlife whilst sitting and relaxing on the decking. Just my opinion though.